For you who have a small space, or a little budget and you want to have a speaker to yourself to enjoy your gaming at its peak, music with all passion or movie with full energy, Bookshelf Speakers are the way out. Bookshelf Speakers are small types of speakers that can fit into small spaces of rest on elevated surfaces. They are unlike the regular kind of speakers that stand on the floor. The Bookshelf types are for the shelves or other furniture. When you own a Bookshelf Speaker, you can enjoy Bluetooth connectivity to your smartphone, computer, tablet, etc. The compactness of these speakers does not in anyway mean low audio. Even though not as much as the bigger versions, they do a pretty good job of delivering quality sounds. The trick is to get a superior quality product that can offer the best sound performance. 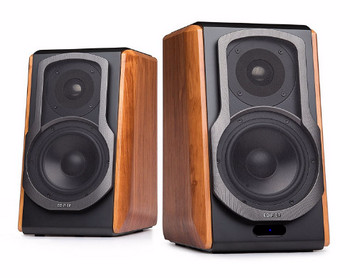 I have some suggestions of eight Bookshelf Speakers below 500 dollars, read on to see them. 1. Size - Bookshelf speakers are meant for elevated surfaces such as shelves, tables, and so on. They are not meant for the floor. Therefore, something compact that can fit in tight places is what your target should be. Since their sizes may vary, I can't outrightly pronounce a particular dimension as being the standard. The space of your room or wherever the speaker will be installed is what you should use in determining which of the Bookshelf Speakers you will be going for Survey your space! 2. 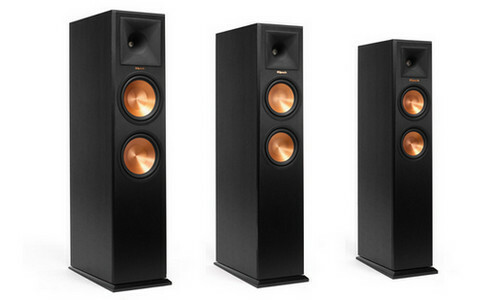 Frequency Response - Bookshelf speakers are generally used for mid and high spectrum of the audio. As low end is responsible for bass, you wont get much of low bass but the mid bass and highs will be really good. A good pair of bookshelf speaker should cover cover 90 Hertz (Hz) to 15,000 Hz. 3. Connectivity - A Bookshelf Speaker with Bluetooth connectivity will be of great convenience to you. With this feature on your speaker, you can connect to any Android, iOS, Windows or MacOS device. You can also connect to your MP3 player. 4. Price - A high quality yet low priced speaker may be better for you. 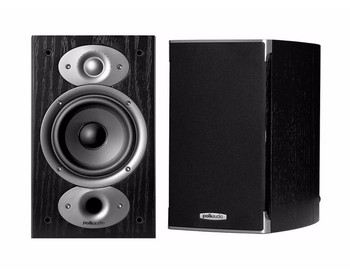 Generally, Bookshelf Speakers are less expensive than the regular types. So, check your budget and look for a quality product that goes with it. There are a lot of such speakers on the market. 5. Receiver - A high quality audio receiver will amplify your music and make your speakers sound great. If you don't have one I highly suggest you get one. You can check out this receiver from Yamaha that cost just a little over hundred bucks but It will make a huge difference in the quality of your audio. If you want to dig a little deeper and know more about home audio, then you can check out this extensive guide from DigitalTrends. At this point you have some idea about bookshelf speakers and now it's time to dive into the reviews. Below are the best ones that we came up with. The Edifier S1000DB Audiophile Active Bookshelf Speakers is a superior product as far as gaming setups for PCs and consoles are concerned. Even to enjoy a fantastic movie experience with outstanding sounds, these speakers are a perfect choice! Compared to other of its type, this product is visually striking. It also has nice features such as 4.0 aptX Bluetooth which allows for wireless streaming of high-quality sound. The apt-x enabled Bluetooth chipset provides its flexibility of use for games and films plus it ensures quality enhancement. You can also have your speaker connect to many sources, thanks to its optical/coaxial and AUX inputs. Another beautiful feature of this speaker is the Digital Sound Processing (DSP) technology which offers a massive 120 watts RMS quality sound. It also has a 5.5-inch subwoofer. Edifier S1000DB also features a remote control for volume control and switching input sources quickly and at your fingertips. Furthermore, device functions with an advanced aptX audio codec which maintains your audio quality even after it allows for it to be compressed. So if you are looking for the perfect speakers for gaming, movies, consoles, and PCs, this is it. It comes with a two-year warranty. If you are a lover of a versatile speaker that offers superior performance, then Klipsch R-15M Bookshelf Speaker has got you covered. It is an excellent source of a quality sound. 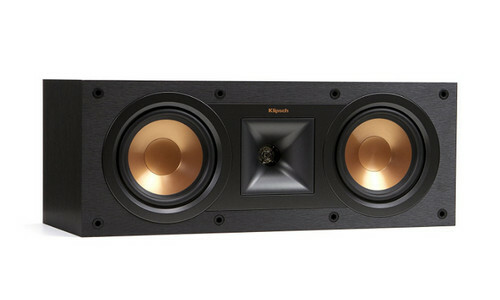 Among its features is the dual high output 5.25-inch woofers (copper-spun). 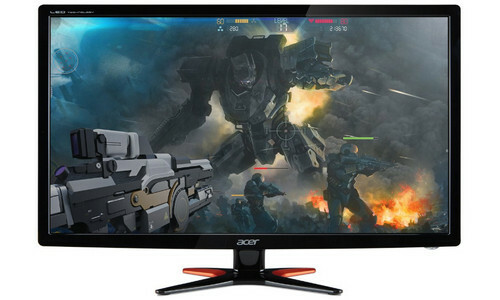 Also, it features a rear-firing port that matches well with the drivers and cabinet. This highly versatile and compact Bookshelf Speaker performs excellently all round, be it from the left, right or center. It is what I will call small but mighty. It measures 12.5 inches H by 7 inches W by 8.11 D. Although small in size; it delivers big sounds. It is a potent device. With it, you can enjoy hours of pleasurable sounds from your music or even movies. One of its fantastic features is the 90x90 Tractrix Horn technology. It is of an aluminum tweeter make. 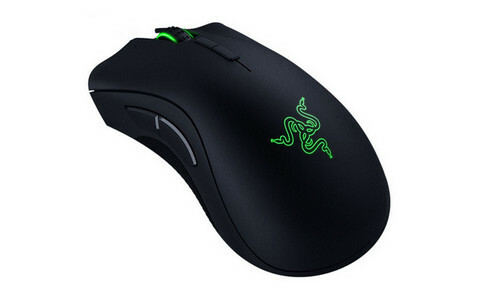 It offers the greater extension and impressive high-end response, powerful dynamics and enhanced imaging. With this feature, you can be sure to get the most natural and clean sound as you may yearn. Another feature it possesses is the Linear Travel Suspension (LTS) tweeter. What the LTS tweeter assures is a minimized level of distortion, and to ensure that you get a perfect performance. You can listen to this speaker for hours or all day and not get tired of doing so. The Polk Audio RTI A1 Black Bookshelf Speaker is nothing short of quality and superior performance. The manufacturers are keeping up with the latest style, and that is why the RTI A series feature various updates. 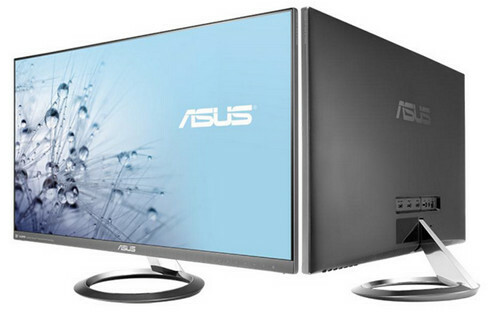 It features the Power Port Plush which is an improvement on the Polk's patented Power Port technology. Polk Audio did a great job on its cabinet design. It is made with high-density MDF for RTI A1. The cover of the cabinets is glossy black vinyl with brushed aluminum baffles. The front panel of this device features two waveguides which have the larger drive in the middle. The cabinet and front design give the Polk Audio speaker a fantastic and attractive design. Also, its cabinet is tapered lessen cabinet resonances. Constructed with real wood, the Bookshelf Speaker features a 5.25-inch cone driver that is of mineral/polymer composite. Also, it features MDF construction while having resonance-free enclosures. It comes with a neodymium magnet with a heat sink on its back and a low viscosity ferrofluid cooling. For reduction of “port noise” or “chuffing,” this astonishing audio device comes with a Power Port Technology. And as I said earlier, it is better because it is an advancement on the Polk's patented Power Port technology. Another feature is that it comes with a 1-inch composite dome tweeter of silk/polymer. This pair of black speakers offers nothing less than classic performance, you can trust me on that. Do you wish to have a set of bookshelf speakers that can offer you a wireless experience by pairing with your computer, tablet or phone? 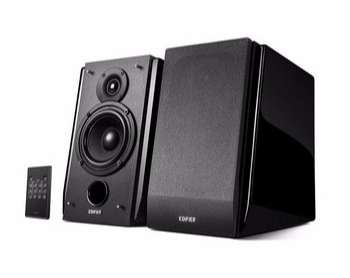 If your answer is yes, then the Edifier R2000DB Powered Bluetooth Bookshelf Speakers is a wish come true. This product features Bluetooth connectivity. It is perfect for any Android, iOS, Windows or MacOS device. It comes with a remote control that gives you the freedom to control the volume, switch input sources, select the Digital Sound Processing (DSP) modes, all of these at the comfort of your fingers. The remote is compact, and the volume dial also serves as the input selection button. To connect your speakers to your computer or gaming consoles, DVD/Blu-ray player, TV Box, HTPC or receiver, this audio device’s optical cable is to take care of those. Similarly, it's 2 x AUX input gives you the liberty to connect the speaker to two devices at once without stress. It also helps with a secure connection to any device with 3.5mm headphone output or dual RCA output. Not only will the device give you the best of services, but it will also even add some spices to your interior design. It is a beautiful and attractive cherry wood colored device. Looks decorative already, just find the perfect position for it, and that is it! In USA and Canada, this product has a two-year labor warranty. The makers guarantee you of superior quality, reliable and botherless parts for this product. 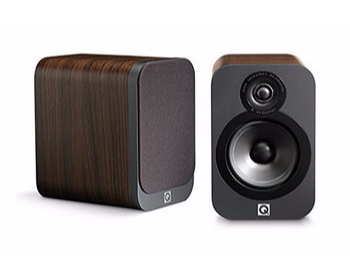 When you buy the Q Acoustics 3020 Bookshelf Speaker, you will enjoy low distortion and wide dispersion from your device. I believe these are part of the vital functions you seek in a Bookshelf Speaker. However, there's more to benefit. Its drive unit is large enough to, I'm taking five inches here, and the cone material it is made of is an Aramid Fibre/Paper (new). What this larger drive stands to offer is a big bass response and superior level of three dimensional sound. The size of this device is 10.23 H by 8.89 D by 6.69 W. Obviously, its design is suitable for medium-sized rooms. But, do not be deceived by its compactness, it produces precise, open, realistic and detailed and extraordinary sound. If you love your music providing ultimate depth, then this device is all you need. In it is a bass cone with a larger diameter which ensures the production of an in-depth and more powerful sound. 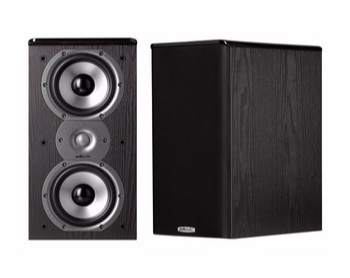 Your Q Acoustics Bookshelf Speakers will work well for larger rooms. With it, you can enjoy rock, dance or full orchestral music. Have I mentioned that it is very user-friendly? If I didn't, now I have. Here is a high performing, superior quality Bookshelf Speaker from the TSi series. TSi200 is classed as the best of the TSi series. In case you are wondering why, it offers very high-quality audio and if you seek that, look no further from here. But, not just that. The Polk Audio TSi200 Bookshelf Speaker Produces rich yet warm sounds that will take the sounds your movie or music produce to a more pleasurable level. Well, that level of pleasure is possible all thanks to the device’s dual 5.25-inch mid-bass, your audio experience just got even better. The new TSi Series is not just a product of superior quality, but also an affordable one. 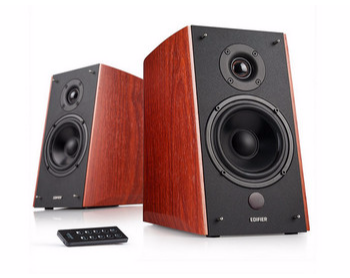 The loudspeakers are suitable for music and home theater use. Let's talk about the TSi200 design. It has an all through smoothness of wood grain finish, with three top plates having a glossy touch. The port and the driver array blend well with the cabinet. For me, it looks stylish enough to complement the modern day flat screen technology. You can choose from two colors; The black or the cherry wood. Elegant build plus valuable sound quality are what the speaker offers. Do you want to have a REAL audio experience where you can feel the full passion of a performance? 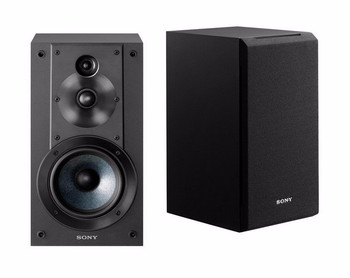 All you need to do is buy the Sony SSCS5 3way 3-Driver Bookshelf Speaker System, and you will enjoy extraordinary audio quality. The sound system ensures there are no distortions in the original performance, while also providing you feel the energy in the most beautiful way ever. It is a 3-way, 3-speaker bass-reflex system, so you are getting quality at its peak. It features a ¾ inch Sony Super Tweeter for in-depth sound output, and it also has a 1-inch polyester Main Tweeter. Another feature of the sound system is 5.12 inches MRC woofer for dynamic bass for topnotch audio tracks. The device has a compact bookshelf design for small spaces. It can fit into tight spots, but that does not mean it won't offer a superior audio quality. It doesn't sacrifice quality for space. The structure of the speaker is topnotch. The bass reflex duct suppresses unwanted noises and enhances sound reproduction. It is located behind the speaker. ​This stylish device has a smart black finish. 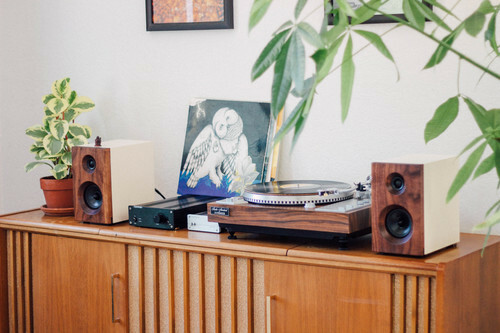 Has wood veneer to ensure no distortion in sound as it retains its shape properly, in what evert humidity or temperature, your sound quality will not be less and sound will not have any influence. The foundations of this speaker are solid, with a ported enclosure to ensure vibrant and resonant acoustics. This speaker will sure do a good job of removing unnecessary noise that may emanate from the baffle board. This noise elimination is highly relevant in ensuring there is a high-quality performance and nothing else. Here is a set of bookshelf speakers that provides you a wireless experience with its ability to pair with your computer, tablet or phone. If you will like to enjoy such level of convenience, then the Edifier R1850DB Active Bookshelf Speaker is an ideal choice for you. This product features Bluetooth V4.0 connectivity. It is perfect for any Android, iOS, Windows or MacOS device. It comes with a remote control that helps you to easily control the volume, switch input sources, and track control of your Bluetooth. All of these from the comfort of your fingers. The remote is compact and a versatile piece also. ​To connect your speakers to your computer or gaming consoles, DVD/Blu-ray player, TV Box, HTPC or receiver, this audio device’s optical cable is to take care of those. Similarly, it's RCA/AUX input gives you the liberty to connect the speaker to your PCs, turntables, etc. Also has an optical/coaxial for Bluetooth convenience and lossless connection. There you have it a selection of some small beasts (Bookshelf Speakers). Those products will undoubtedly give you excellent results despite their sizes. So I must warn you not to be deceived by their smallness and style. All the Bookshelf Speakers reviewed here are from reliable makers. Most of the brands have been making speakers for centuries, you can trust them. I certainly do hope you can find a desirable speaker after reading this review.